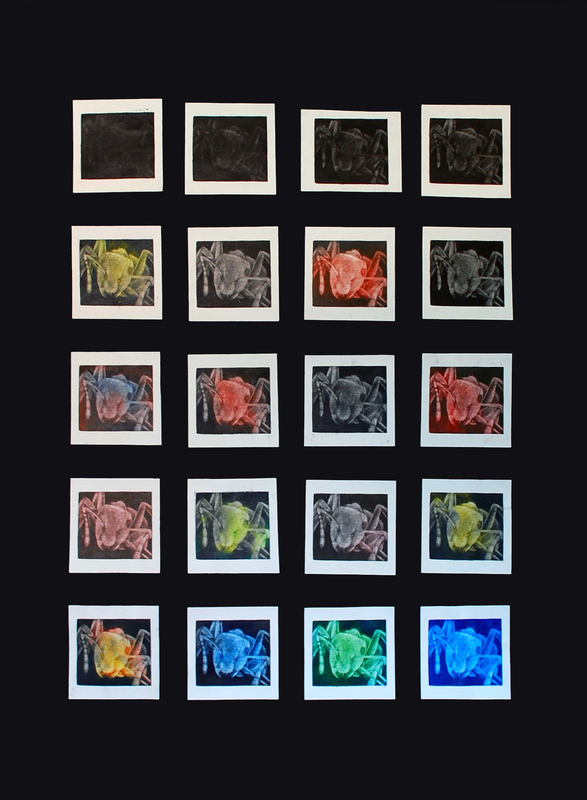 This work consists of 20 mezzo-tints of the same ant, presented in different colors and different tones. I tried to express the idea of power and diversity through number and repetition of an element. So, the ant comes in the big picture because it is know how well organized and diverse is an ant colony, and how they act as one when, for example the colony is attacked. It has a pop-art style to it through the repetition and gradual deterioration of the quality of print.